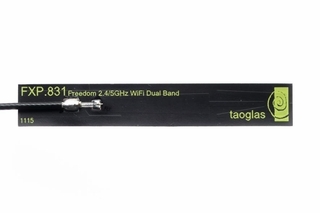 The FXP831 is a high efficiency, small, dual-band, dipole antenna for 2.4/4.9-6GHz bands including WiFi, Bluetooth, Zigbee, DSRC, V2V, and other applications in these bands. The FXP.831 has a peak gain of 2.5dBi at 2.4GHz and efficiencies of 56%, and 4.5dBi and 55% along bands 4.9GHz to 6GHz. 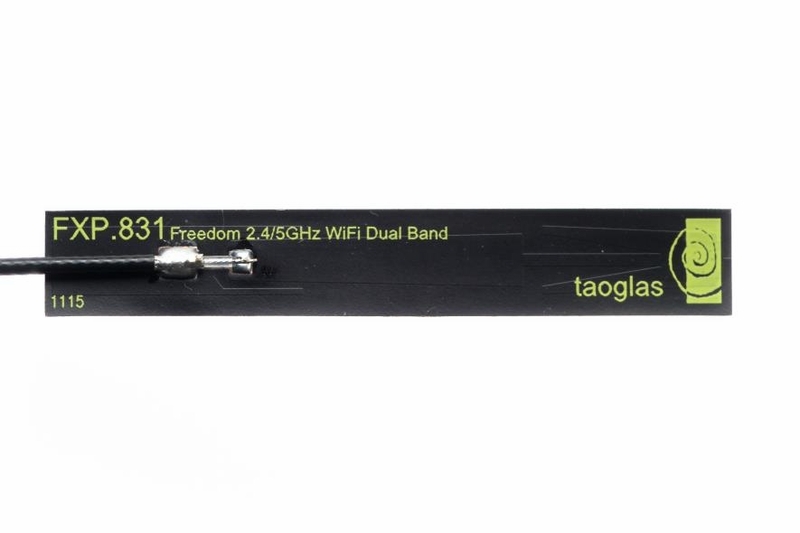 This Taoglas patent pending antenna is unique in the market because it is made from poly-flexible material, has a tiny form factor (45*7*.01mm) and has double-sided 3M tape for easy �peel and stick� mounting. The cable routes conveniently directly out of the bottom of the antenna, reducing the volume the antenna takes up in the device to an absolute minimum compared to other designs. The FXP.831 is the ideal all-round antenna solution for squeezing into narrow spaces and still maintaining high performance, for example on the inside top or adjacent side applied directly to the plastic housing of LCD devices.